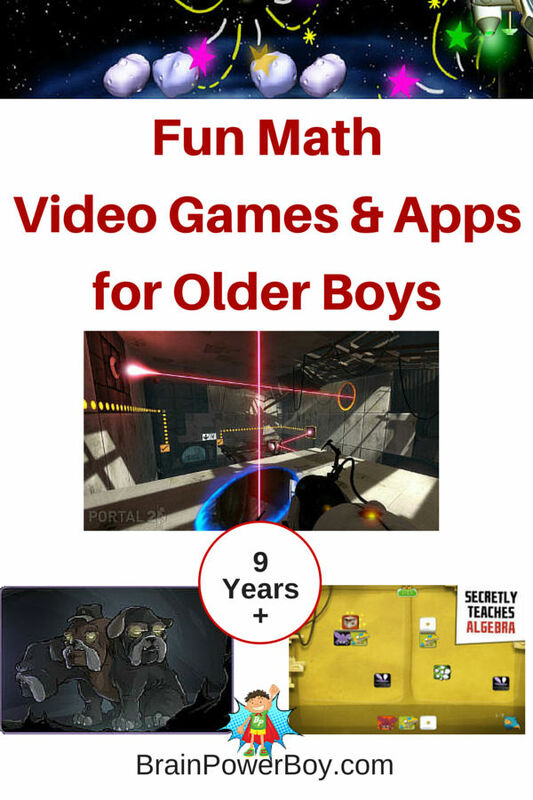 Have you found that there are a lot of cute math games for younger boys but it is super hard to find math video games and apps for older boys that will hold their attention? I have, and I set out to solve this problem. Many, many boys love video games and adding a few of these really fun math games will put math before them in an engaging way. Boys don’t stop enjoying learning math through games as they get older, yet overall the selection gets pretty slim as the boys grow up. I slogged through looked at a lot of math games and to be honest most of them stunk. They were really lame, made many, many years ago, were not at all appealing and were not fun. And by that I mean they were oh so b.o.r.i.n.g. No worries though, if you have a boy who really enjoys playing we did find some gems that you can use to power up your boy’s mathematical thinking. The Lure of the Labyrinth is a slick looking math game for teaching pre-algebra. It is based on a made up mythology storyline. We are checking this out for sure when we get to that level of math (maybe even beforehand.) It covers fractions, ratios, variables, equations, and more. The format is a bit dark in style and nature. It is like a graphic novel so will likely appeal to boys who enjoy those. Registration and download required. Dragon Box is a neat app for teaching algebra. Dragon Box Algebra 12+ is perfect for older boys. There is a fee for this app ($7.99 – 9.99 at the time of this post). They say you can learn basic algebra in 4 hours. It is highly rated and has won many awards. DragonBox Algebra 12+ – iPhone and Android . Guess the Code is a Masterminds type app. We love Masterminds and breaking codes is something I know a lot of boys enjoy. This highly rated game is totally free. Refraction: Use lasers to free animals by changing the directions of the beams to bend, split and redirect them to power the ships and release the animals.. The animals are a bit cutesy but the game play gets increasingly difficult as you go along making it challenging. You can also play Refraction 2 and Refraction Remix for more levels. Free to play online. Timez Attack Math Games are pretty neat. Click the link for our review. If your boy needs to brush up on multiplication and division this might be a good bet. Portal II is a wonderful game that focuses on teleporting your character through portals. It is a puzzle game and you use logic, problem solving, physics, reasoning and critical thinking. Your player can get hurt and game play humor is a bit dark. There is animated violence. But, it is a highly acclaimed game and many boys enjoy it thoroughly. You can get it for Xbox 360 or Playstation 3 or through Steam and the cost is totally worth it. When boys play these games they are working on a lot of different types of mathematical thinking. I am a big fan of games (including video games) for learning. When they are having fun and challenging themselves to get to the next level, they are learning a lot. I know two (not so little anymore) boys who are just getting into math games so these recommendations are PERFECT. I’m so glad you took the time to slog through and share because some of the apps available today are awful and I always give up trying to find the good ones! Thanks Clare. I was actually a bit surprised at how hard it was to find things that kids would actually enjoy. I was bored very quickly with most of them. Great opportunity for someone to really make a difference in the video game math space. 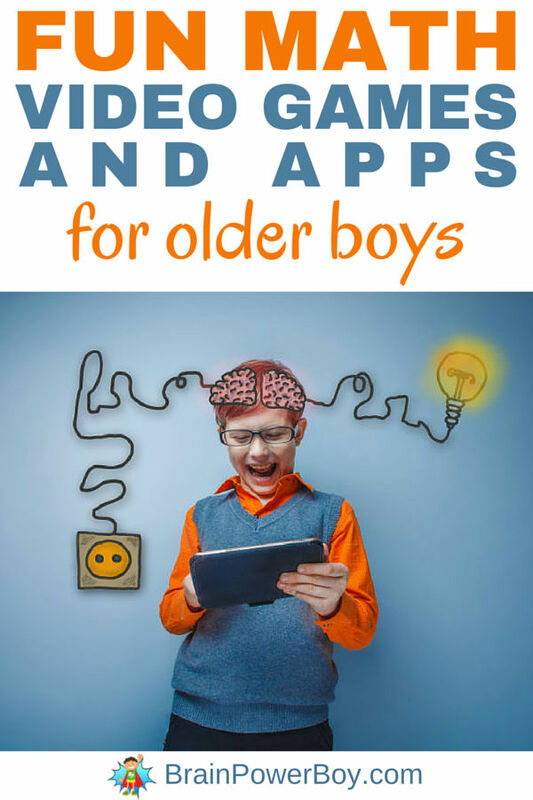 Thanks for the article on Fun Math Video Games and Apps for Older Boys! My grandson is 9 years old, and his favorite subject is math. The apps will be something that he will enjoy! Thank you for your comment Marsha and for stopping by. I am so glad to hear your grandson likes math and that he will enjoy these selections. This has been so helpful! Things have changed since my 19 year old was in middle school. DS11 is into SimCity. I’m going to show him the ones you recommended to see what else he can play. I also pinned your post to my Kids Tech board. wonderful suggestions. Some I don’t know, I have to check them out.